AVAST is trusted by nearly 200 million people worldwide, and the trifecta of protection, performance, and usability work together to make it the most recommended antivirus protection in the world. If you don’t trust the experiences of 200 million people, how about research from an independent testing lab? During July and August, when the rest of us were taking vacations at the beach, German lab AV-Test was busily testing 26 home user security products. They focused on realistic test scenarios and challenged the products against real-world threats like detecting brand-new malware, email threats, downloading software, and installing and running programs. "Avast, once again, has an impressive performance in our tests," said Andreas Marx, CEO of AV-TEST. Our Facebook fans agree. Avast! 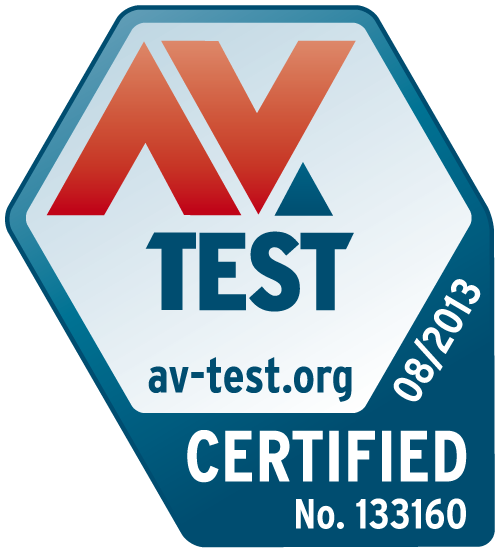 Free Antivirus was pitted against mostly paid-for products, and earned the coveted "AV-TEST CERTIFIED" seal for its stellar performance. AVAST scored perfectly in protecting home users from zero-day malware attacks, and identified and blocked all the malware samples AV-Test threw at it. "The free edition of Avast has shown stellar performance,” said Marx, “The offered protection was a lot better than many commercial anti-malware products. Avast is one of the top products when it comes to malware detection and blocking of known and unknown threats." Detection is extremely important, but internet surfers are also concerned with so-called “false positives.” If an antivirus program erroneously blocks access to a safe site or warns that it might be dangerous, the program loses points. Out of nearly 750,000 websites and system scans, avast! Free Antivirus didn’t lose a single point. If you have been paying for expensive antivirus protection, we invite you to give avast! Free Antivirus a try. You can download it for Free! If you are already an avast! Free Antivirus user, please help us to keep protecting the world’s computers and mobile devices, by sharing with a friend. You can earn a free 1-year license for avast! Internet Security for doing it! Find out how here.